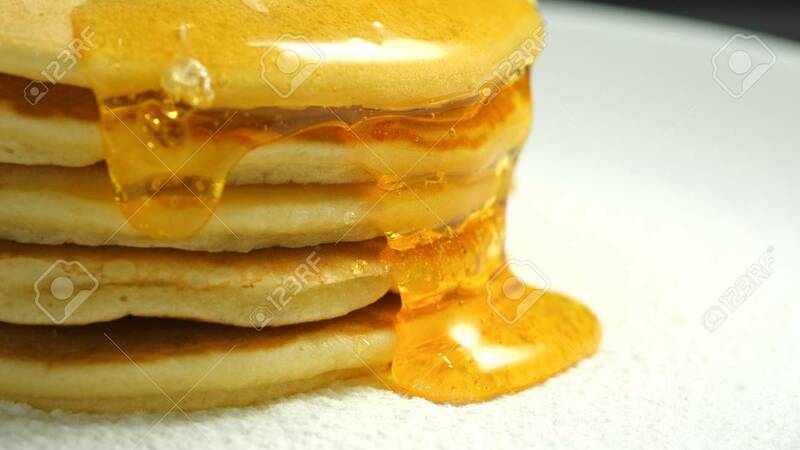 Close-up View Of Honey Or Maple Syrup Dripping On Sweet Pancakes. Delicious, Healthy American Eating Breakfast. Fresh Bakery Concept Foto Royalty Free, Gravuras, Imagens E Banco De Fotografias. Image 114171148.